When it comes to looking after my kit, I always treat clothing as I would my photography gear; to keep items in prime condition, it’s essential to use recommended cleaning products and follow suggested guidelines. By doing this, I can be sure that they’ll last longer and perform better, even with regular (dare I say, unforgiving) use. When it comes to caring for fleeces, it’s a two-part process that I use. First, I clean them using Tech Wash, following Nikwax’s recommendations alongside those outlined on the fleeces’ care labels. You might ask why I don’t simply use regular detergent; well, the quick answer is that with this approach, I know the garments will have the best head start when treating them with Polar Proof. 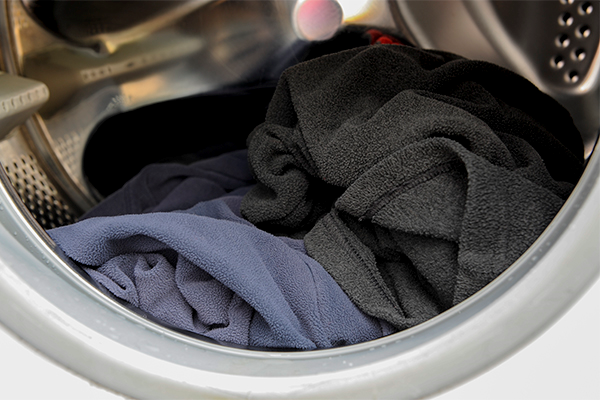 It’s true what they say – Tech Wash really does revitalise garments, and I’m sure this is also part of the reason why they feel so much softer when pulled out of the washing machine after applying Polar Proof. For example, when I’ve compared like-for-like with an untreated fleece, it is noticeable just how much physically ‘flatter’ the untreated one is. 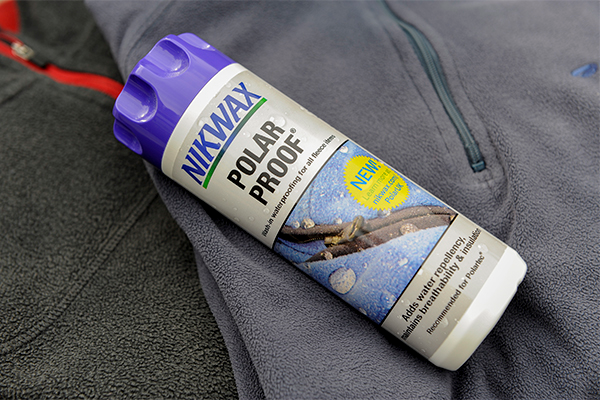 Thanks to Nikwax, the fabric is given renewed volume; this equates to improved insulating and breathability qualities. 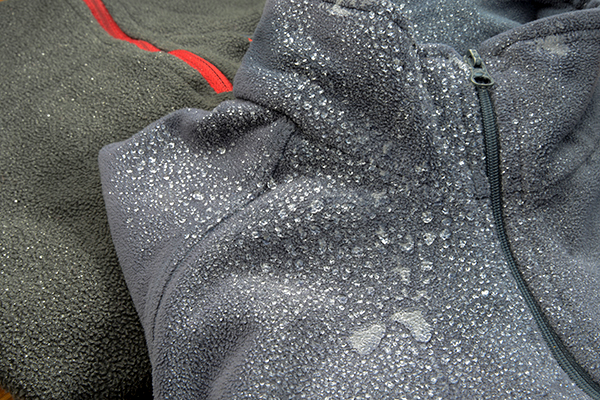 With more air trapped between their fibres, my fleeces feel great when worn next to the skin as base layers. In terms of how much solution I use, I’ve always followed the recommendation of 1 full cap (50ml) of Polar Proof for 1 item and 2 full caps (100ml) for 2-3 items. The temptation is to think that maybe this isn’t going to be enough, but actually it is plenty. In all the years I’ve used the solution, I’ve never known it to leave any form of residue or fail to deliver on its promise. My preference is always to allow garments to dry naturally outdoors. 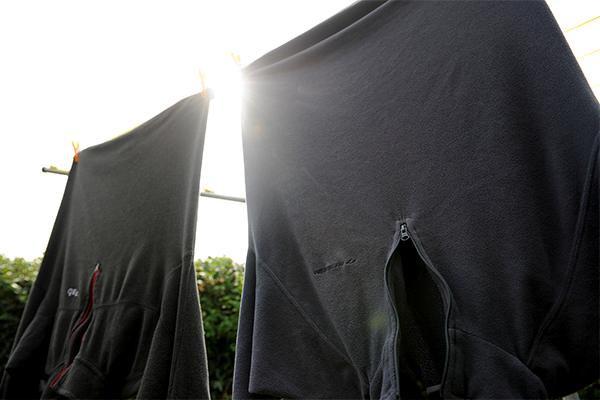 Yes, tumble drying them works very well, too, but why not take the most environmentally-sympathetic route where possible? Besides, on a fine day, they’ll dry in no time at all! So, what about water repellency? In my experience, the beauty of wearing a Polar Proof-treated fleece is two-fold. When I’m dashing around, I can be sure that perspiration won’t be unnecessarily absorbed directly into the garment, which would otherwise make me cold and uncomfortable when I finally stop. With added water repellency, the time I can take going about my business in the rain without having to grab a waterproof jacket is considerably extended, too. Oh, and I also get to feel just a little bit smug as I watch the water beading off whilst colleagues suffer in their sponge-like garments! Don’t get me wrong, my treated fleeces are never going to do the same job as a full-on Gore-Tex shell, but they certainly do a fine job of keeping drizzle and sudden downpours at bay until I have the opportunity to reach into my bag for complete wet-weather protection. Giles Babbidge is a commercial and editorial photographer & writer specialising in the outdoor markets. You can find out more about what he does over at his website – www.gilesbabbidge.co.uk – or catch up with him on Twitter – @gilesbabbidge.